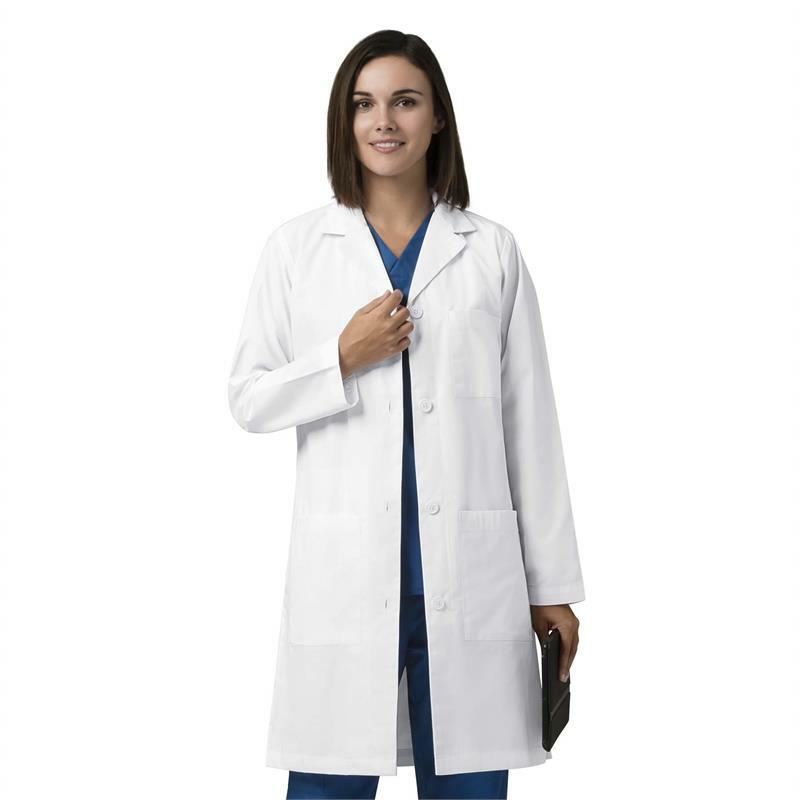 This WonderLAB Women's Long Lab Coat features a modern women's fit, chest pocket, pen slot, large front pockets, inside tablet pocket, side access, locker loop, bottom vent, side vents, and white logo embroidery at pocket. Made of 65% polyester / 35% cotton poplin. Length is 38".